The ‘Mat’ was named for William George Riddle’s wife ‘Martha’ - William George Riddle (born 1871) was the elder brother of Andrew John Riddle (born 1882) of Church Point/Bayview. Crews of four to five to eight (!) 'manned' these 16 footers, some records stating they needed this amount to hold down the boat when all sails were up! Scenes at Camp Middle Harbour ; Christmas 1885 & New Year 1886 - 'Tottie and her Crew"- ANMM Collection Gift from the Royal Sydney Yacht Squadron 00013762. This image belongs to a photograph album relating to Edward Hungerford. The album contains images of shipping and street scenes around Sydney from the 1880s, most of which appear to have been taken by photographer Charles Bayliss. Portside view of a 16 footer, Sydney Harbour - ANMM IMage: 00002191, During the late 1880s and early 1900s, photographers William F Hall and his son William J Hall documented the weekend sailors and yachts of Sydney Harbour. Each Monday the images would be displayed in the window of their studio at 20 Hunter Street. SAILING. 16 FT. SKIFF STATE CHAMPIONSHIP. RACE ABANDONED. 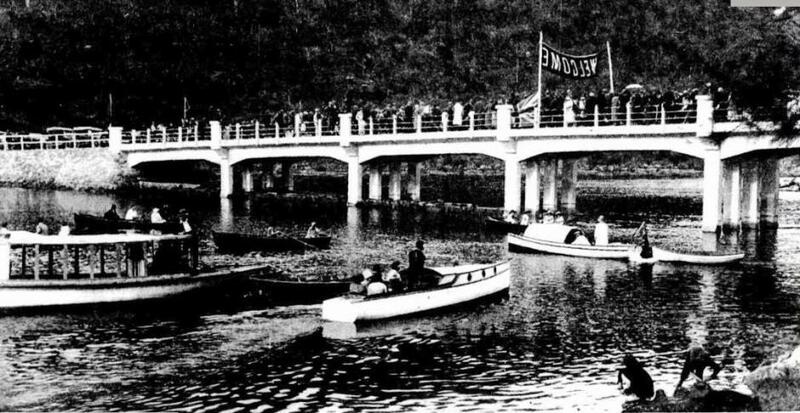 The 1907 race on the Pittwater Estuary was not the first foray of Riddles over the other side of Middle Harbour. George Riddle, who seems to be brother number three of their father, although born in 1877 by some figures, and in 1866 in NSW's BDM's, two years before William George and Andrew J's father James married Margaret Hartland in 1868, and their uncle, was building roads and laying ballast for Warringah Council as early as records were made by this then new shire (1904), then laying foundations for the proposed tramway over The Spit. THE SPIT, MIDDLE HARBOUR, TERMINUS OF THE LINE. ON THE SPIT TRAM ROUTE— VIEW OF MIDDLE HARBOUR. NORTH HEAD AS SEEN FROM HEIGHTS MILITARY-ROAD. VIEW ON THE SPIT-ROAD -MIDDLE HARBOUR TRAM EXTENSION. Last week Mr. Conyers, of the Public Works Department, measured up the second lot of stone from French's Forest now lying on the Pittwater-road, between North Manly and Brooklyn. The quantity was 500 cubic yards, for which Mr. Carew, the shire clerk, received a cheque for £150 this week from the department. This cheque (the second) he has passed on to the contractors, Messrs. G. Riddle and H. Thew, whose first cheque, for 585 cubic yards, amounted to £174. THE CLONTARF FIRE. INQUEST CONTINUED. INCENDIARISM SUSPECTED. The Inquest concerning the fire which destroyed the pavilion at the Clontarf Pleasure Grounds early on the morning of November 28 was resumed today by the Acting City Coroner(Dr. R. H. Toed), at the Coroner's Court, Chancery Square. Sub-inspector Mitchell, Senior-sergeant Miller, and Sergeant Carson were present to watch the case for the police. Senior District Officer Watson, of the M.F.B., was also present. Mrs. Jane Warwick Lane stated that she was the owner of the Clontarf Pleasure Grounds. She purchased the property from Messrs. Dodds and Richardson, agents for the Thrower Estate. She was the mortgagor, and Dodds and Richardson were the mortgagees. Rent was paid, which appeared as interest on the mortgage. Witness had paid off none of the purchase money; the time had not expired. She paid all insurances. Her money was also the money of her husband, Mr. E. J. Lane. She had no separate estate. Early on the morning of November 28, Mr. Lane awakened witness, who looked out and saw that the pavilion was on fire. There had been an attempt by someone to burn down the pavilion on October 15. At about 5 p.m. on that day a cigar box was found in the tallies cloakroom, in it was a piece of candle wrapped in paper, and some burnt matches. The floor roundabout the cigar box was saturated by kerosene. She regarded these things as evidence of an attempt to bunt the place down. Witness had not yet received any insurance money, but had put in a claim for it. The fire, instalment of the purchase money, £2000, was due next April, and witness and her husband were able to meet it. The pavilion was a good, sound building, and was insured tor £1000. Edward James Lane, husband of the previous witness, said that he did all the business in connection with the grounds. The mortgage was made out in his wife's name as a convenience. He had had the property for four years. There was a £7750 outstanding on the property, the first instalment being due in April. Witness was not in the pavilion on the evening of November 27. He went to the luncheon room at about 9.30 p.m., to get some ice, and then passed the pavilion. A girl named Lizzie Mitchell was with him. The roaring of the fire awakened him between 3 and 4 a.m., and he found that the building was a mass of flame. Continuing, the witness stated that the building was practically burned to ashes. No particular person had charge of the pavilion, and no one slept in it. The building was 185ft long and 40ft wide, and was of wood, with an iron roof. Witness corroborated Mrs. Lane's evidence as to the discovery of the cigar box and other articles, and said that a piece of old rope, pulled to shreds, and roiled up like a ball, was also found. This was saturated with kerosene. He Informed the police at once. 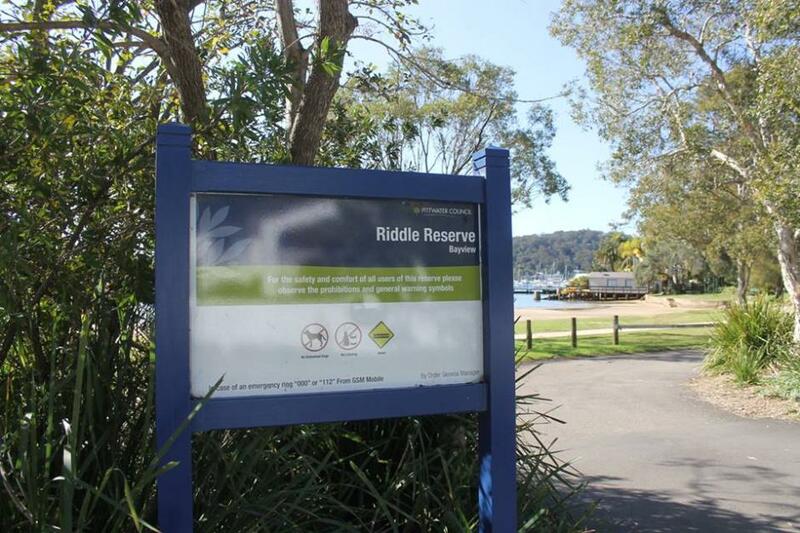 He told them that he suspected William Riddle, a boatman at the Spit, just across Middle Harbour. Earlier that day there was a large Sunday School picnic there, and he had had an altercation with Riddle, who said that he would 'do for him.' Witness understood that to mean that Riddle would do him personal injury, he had no further reason for suspecting Riddle. The contents of the pavilion included a piano and sufficient crockery and table requisites for 800 persons. This was witness' property, and was not insured. Witness did not think that the fire occurred accidentally. William Riddle was asked by the Coroner if he wished to ask the witness any questions. He said: When we had the altercation, didn't you say dial you were a cleverer man than me? No. I followed you round one day, when I thought you were going to get on to the wharf, but I never spoke to you. Yes. I said at one time that I thought it was. 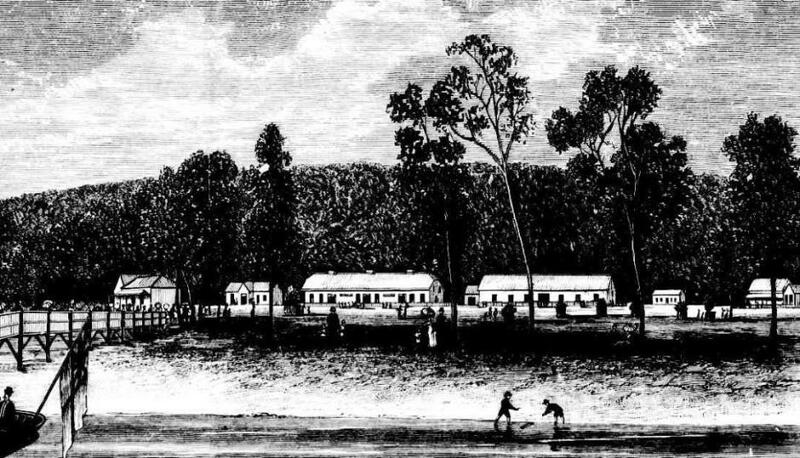 William Riddle, boatman at the Spit, Middle Harbour, said that for years he and others had been in the habit of taking boats across to Clontarf for the use of the public. Mr. Lane also owned boats. Previous to Mr. Lane getting boats, they had always been on good terms. After Mr. Lane got his own boats, he got on to witness and other boatmen, and said that they had no right coming over, and should keep on their own side of the water. At nearly every picnic witness had a quarrel with Mr. Lane. He could not very well avoid It. He never said, however, that he 'would do for him.' He said once, 'Look. Lane, I'll get you some day and I'll give it to you properly.' He meant that he would do it with his hands. He didn't mean any other way. I have no knowledge, but I have a strong suspicion. Why?— Well, I heard two different stories from his men as to how the cigarbox was found and that fact seemed suspicious. One of the men too, hinted that he knew who had put it there. Yes; the pavilion was an old one. The white ants went into it pretty bad, and Lane told me, too, that he would sooner have it facing the other way. I would not do him a bad turn. I would like to punch him on the nose, thougth. (Laughter.) I would be satisfied then. The Coroner: You mean you would like to work off your own feelings, rather than to injure him?— That's it. No; it hurt our business. After breakfast. Riddle told him to washout one of the boats, and he again said, 'What about the fire?' Riddle said, 'You know too much about the fire.' Next day he asked Riddle again about the fire, and Riddle said, 'You don't suit me.' Witness said, '-You'd better pay me off, then.' Riddle paid him off and he left at once. He did not threaten Riddle when he was leaving. He thought Riddle knew something about the fire. In answer to further questions by the Coroner, witness said that he went to bed at about 11 p.m. on the night before the fire. He was only awakened once until 6.10 a.m., and that was by the ringing of the bell at the punt. The witness said that he met Mr. Lane someday after he left Riddle's employ, and told him what he had just related. Yes; I have known occasions when people have gone through the shed without waking anybody. Because Mr. Riddle was always threatening Mr. Lane. No. To Another Juror: There were no sculls in the boat He did not tell Mr. Riddle about seeing the boat and the kerosene tin. I am not sure about that part. I shifted it the night before. I only filled one lamp. Because you said I didn't suit. Because you got on' to me for what I said about the fire. Then you paid me off, and I left. In answer to a juror, the witness said that sometimes the boats were left in the water at night. It was not an invariable practice to pull them up on to the slips. THE CLONTARF FIRE. AS OPEN VERDICT. Bernard Gomersall, ship's steward, residing at Birmingham House, Circular Quay, said that he entered the witness Riddle's employ five weeks ago, and left it last Sunday week, the day after the fire. He slept in a room at the top of the boatshed. Witness had taken boats to Clontarf. Mr. Lane never interfered with him, and witness never saw him interfere with Riddle or anyone else. He arose about 6.10 a.m. on the day of the fire, and saw Riddle's boat ‘Jimmy' in the water. Last night's conflagration at The Spit totally destroyed Dendy's refreshment rooms; 'Oily' Lyons' cottage burned, and burned 40 out of all craft in his boatsheds. The damage is estimated conservatively at well over £10,000.Henry Steele, the City auctioneer, and Jack Evans, who were residents in Miss Lucy Dandy's boarding-house, worked so hard in the fight against the flames that they collapsed. They were taken to Lauriston Private Hospital. They had net recovered sufficiently to leave the hospital today. Today a frroun of precocious banlams are making the best of their opportunity In the ruins. … for the refreshment premises were of two storeys, and contained 16 large rooms. Their blackened beams mixed with twisted iron-work, now lie level with the ground, and are merged with the charred remains of Lyons' cottage, residence, while 'Oily' Lyons, the erstwhile cheerful owner of both places gazes …. on the fire’s handiwork. Miss Hazel Brown, a niece of Mrs Lucy Dendy, the proprietress of the refreshment rooms, was really the first to notice the fire. She returned from a visit to some friends, shortly after midnight, and heard a crackling sound from the direction of the kitchen, which was on the ground floor. She thought It was only the dying embers In the kitchen range. and paid no further heed, but She had Just retired when Mlsa Lucy Dendy wns awakened by what she thought was a burst In one of the hot-water pipes. Miss Dendy went to see what had happened, and found the place full of fire called her alsler, Mrs. Brown and the five men boarders. Mrs. Brown went downstairs to a room on the ground floor, which was unoccupied. When she opened the door, fierce flames licked out and enveloped her. Closing the door, she walked along the passage to the maid's room, which was … to the seat of the blaze. The door was locked. Mrs. Brown beat frantically on the door but it was some time before she was able to rouse the maid, who had been partly overcome by the smoke. As it was, the maid only escaped in nightclothes without waiting to rescue anything—by this time the whole of the place was alight— the occupants of the Refreshment-room ran out Into the road with what few clothes they had been able to hastily throw on. Mr. Lyons whose place was alongside, had his wife and brother, two daughters and three little children In his home. He notified the fire brigade and then set about saving his boats. Messers. Steele and Evans, seeing there was no possibility of doing anything for the refreshment rooms or the cottage, lent a hand with the boats. It was hot work, for the sheds were situated behind the two places, which were by this time burning... the heat they succeeded in dragging out 80 of the -… craft in the shed before the flames got to the ….-Mr. Lyons Insisted on saving the private boats first, and by the time this was done Ills own- craft. The occupants of both places were able to get away with only a few clothes. The firemen arrived in good time, but their job was hopeless from the start. The places were built or wood, and flames rose many feet in the air. They licked across the roadway and made conditions so unpleasant in the places on the opposite side that people sleeping in Chris Webb's and Riddle's premises were forced to leave. Both places were scorched, and the glass in the windows melted. The high tension electric wires leading across to the Manly side of the Spit came down, and the trams on the Manly side were held up for hours today. Meanwhile the fight went on in the burning premises. With the great amount of woodwork there was ample food for the flames, and those who fought to rescue the boats were subjected to an awful experience. Subsequently, Steele and Evans collapsed, and were taken to Lauriston private hospital. BOATING DISASTER. IN MIDDLE HARBOUR. THREE PERSONS DROWNED.ELEVEN OTHERS RESCUED. A shocking boating fatality occurred about 3.30 yesterday afternoon at the Spit, Middle Harbour. A rowing boat, containing 14 persons, overturned during a sharp gust and a choppy sea, with the result that three of the number were drowned within a few minutes, although every effort was made by a number of people to save them. ELSIE AMY WEEKES. EDITH SOUTHAN. ARTHUR HYDES. The fourteen, together with a number of others, arranged to spend the day at Clontarf. The party left Fort Macquarie at10.20 for that pleasure resort. About noon they had lunch. At 3 o'clock several of the party suggested that a boat should be hired, and that a visit should be made to the Spit, just opposite Clontarf. Six agreed, and a 16ft rowing boat named the Clon was chartered from Mr. Lane. The Clon was licensed to carry only eight, passengers. 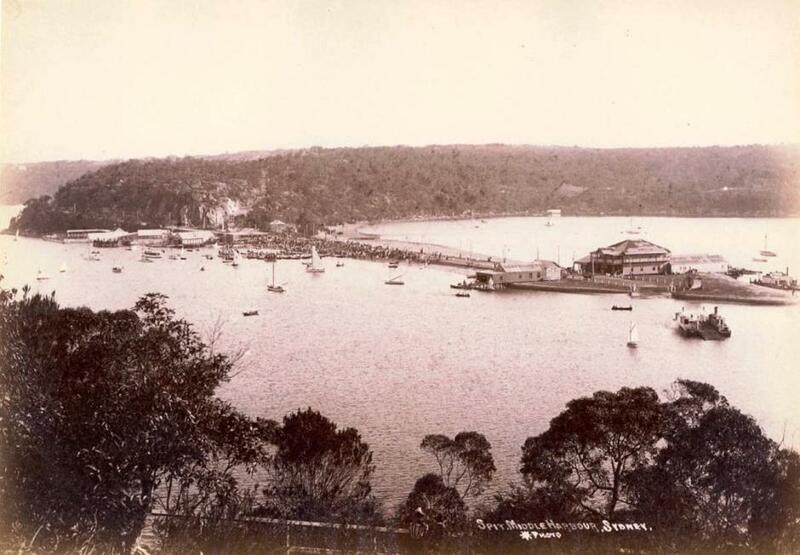 The men rowed across the water, and leaving the boat at the Spit took the tram to Mosman. The fact that a portion of the party had engaged a rowing craft caused the remainder to hire one called the Ted. They also pulled to the Spit. For some reason or other the occupants of the Ted decided to take the Clon, which had been left at the wharf by the first batch, and row across to Clontarf. The sea was then rather lumpy, and the wind was blowing fresh from the south-west. It was not anticipated by those in the little craft that any trouble would be experienced in reaching the other side. Mr. Creedon and Archie Hydes had charge of the oars, and everything went well until the party was midway between Clontarf and the Spit. A sharp blow then sprang up, accompanied by an increased sea. Some water found its way in the boat, which had a heavy list. This evidently alarmed one of the occupants— a woman — who stood up in the boat. Her action caused the boat to capsize, and all the occupants were precipitated into the water. Then commenced the fight for life. The terrified screams of the struggling people in the water were heard by those onshore. But while assistance was coming from that direction Mr. Creedon and several others endeavoured to right the boat, and to prevent their friends from being drowned. The first portion of the task was quickly accomplished, but by this time several were on the verge of sinking. Among those who put off from the shore to go to the rescue of the victims of the accident were Mr. Riddle, of Lyons and Riddle's boatsheds at the Spit. When he reached the spot a number were clinging to the side. There was a cry, how-ever, that Mrs. Weekes's baby was underneath, and he promptly dived under and rescued it. On turning round he discovered that Mrs. Weekes had sunk, and although he made every effort to save her she was drowned. As usual on Sunday afternoon a large number of boats, both sailing and pulling, were cruising about Middle Harbour, and many of these were attracted by screams to the scene of the disaster, and rendered yeoman service. It was by this means that Mr. Creedon was able to save his son, Leslie, and Mary Hamilton. After seizing his boy, Creedon swam to a boat which was bearing down with all possible speed to those struggling in the water. On reaching it he handed his son to the occupants of the vessel, and then went to Mary Hamilton's assistance. Two youths, Hugh Hydes, a brother of one of the victims, and Frank Owens also secured a boat at the Spit, and rowed to the spot. They grasped a woman who was on the point of drowning, and endeavoured to pull her into the boat. The effort, however, was too great, and in the attempt to save her their own craft nearly capsized. One of the youths succeeded in holding her up until a sailing boat came alongside, and the woman, who was thoroughly exhausted, and had nearly collapsed, was placed in the boat and taken ashore. By this time the majority of the occupants of the Clon had been taken from the water and removed to Lyons and Riddle's boatsheds. All severely felt the effects of the immersion, and of the trying ordeal through which theyhad passed. As soon as they reached land anxious inquiries were made by mother, brother, sister, or friend for the missing ones. In the meantime those of the party who had not joined their friends in the Clon hurried over to the Spit in boats. Most of the party having assembled in the boatshed, it was discovered who were the victims of the sad fatality. Drs. Arthur, M.L.A., Mason, and Barnes, of Mosman, were communicated with, and the three gentlemen proceeded to the scene with all haste. The sufferers were attended to, and with the exception of two all recovered after a time, and were able to proceed to their homes. Mrs. Hydes and Mrs. Owens were both too ill to be removed. SPIT BOATING FATALITY, THIRD BODY FOUND. In 1912 William's wife Martha passed away and was clearly much missed by her husband, children and family. 1912 was also the year Andrew married Ethel Mary May Cook at Mosman. The following year, 1913, a daughter 'Ethel May' , was born. RIDDLE.-In loving memory of my dear wife, Who passed away November 24, 1912, in her 40th year. Years will roam and time may fly; every leaf will fade and die: Every rising sun will set; But you, dear Mat I will never forget. 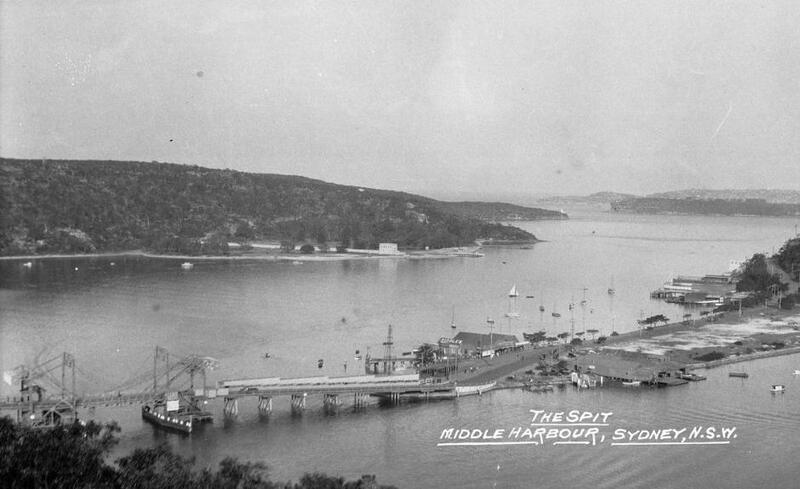 Inserted by her loving husband, William Riddle, the Spit, Middle Harbour. RIDDLE.-In loving memory of our darling mother, who departed this life November 24. 1912, aged 40 years. Worthy of everlasting love was she from those she left behind. - A dearer mother could not be found, nor one so true and kind. Inserted by her loving children. Jessie, Jimmy, Madge, Arthur, Mollie, and Dickie. RIDDLE.-In ever-loving memory of my darling mother, who fell asleep November 24, 1912, aged 40 years. God needed one more angel amidst his shining band; And so he bent with a loving smile and clasped my darling mother's hand. Inserted by her loving daughter Dollie. RIDDLE.-In sad but loving memory of my dear sister, Martha Riddle, who departed this life November 24, 1912, aged 40 years, R.I.P.Although the grave divides us, and your face I cannot see, Let this little token tell, dear sister, that I still remember thee. Inserted by her loving sister. TO BOATSHED, REFRESHMENT ROOM PROPRIETORS AND OTHERS - RICHARDSON and WRENCH. LTD., In conjunction with FRANK J. SMITH, of Spit-road, Mosman, under instructions from THE EXECUTOR OF THE LATE WILLIAM GEORGE RIDDLE, will offer for Sale, at the Rooms, 92 PITT-STREET, on FRIDAY, 14th FEBRUARY, 1936, at 11 a.m. ALL THAT the Business of a Boatshed and Shop and Refreshment Room, heretofore carried on by the late William George Riddle. 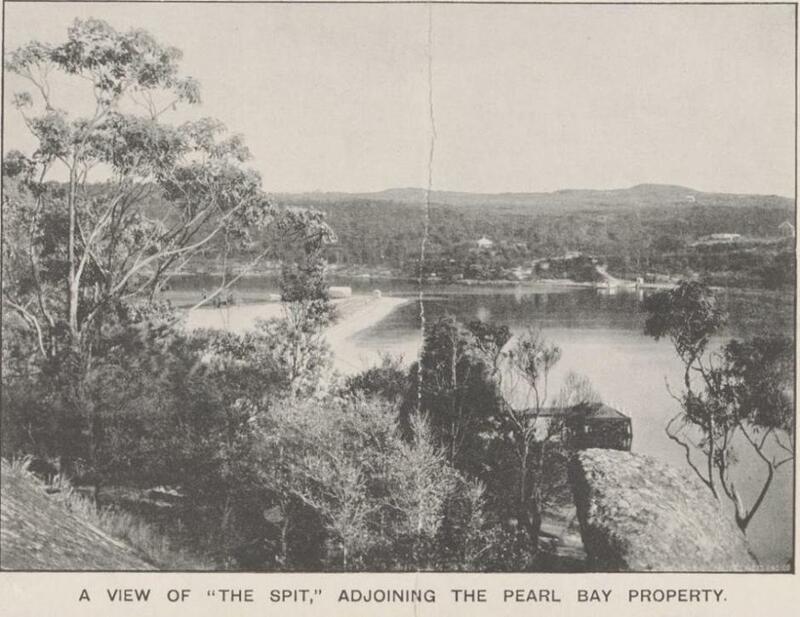 Proprietor, at THE SPIT, MIDDLE HARBOUR, together with the Goodwill thereof, and together with (a) The Household Furniture, Plant, Tools,Boats (including a Launch), Fixtures and Fittings In or about the dwelling, refreshment room, and boatshed, situate in Spit-road, Mosman, (b) The Special Lease held of the Crown, and the benefit of the tenancy held of the Sydney Harbour Trust Commissioners In respect of the site of the said dwelling, Shopand Refreshment Room, and Boatshed. (In addition, the purchaser will be required to purchase the Stock-in-trade of the Shop and Refreshment Room at valuation.) TERMS: 10 per cent, deposit on signing of the contract, and balance in cash on completion. ART EXHIBITION. MR. PERCY LINDSAY'S PICTURES. A well-known Parramatta (Sydney) solicitor and his brother, for whose safety fears have been entertained since Saturday morning, are safe in Broken Hill, and were yesterday afternoon taken to the Central Police Station, where their identity was established. 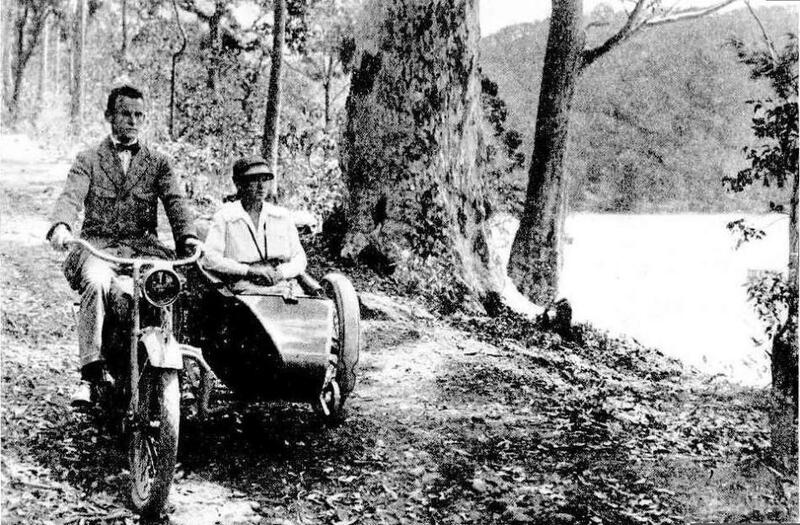 The sudden disappearance of the men, the discovery of their stranded boat on rocks at Dangar Island, and other mysterious happenings, caused Sydney police and relatives to fear the worst. Foul play was even suspected. In an interview with a "Barrier Miner" reporter, the brothers expressed regret that they had caused any anxiety. They thought their relatives would feel that they were safe. 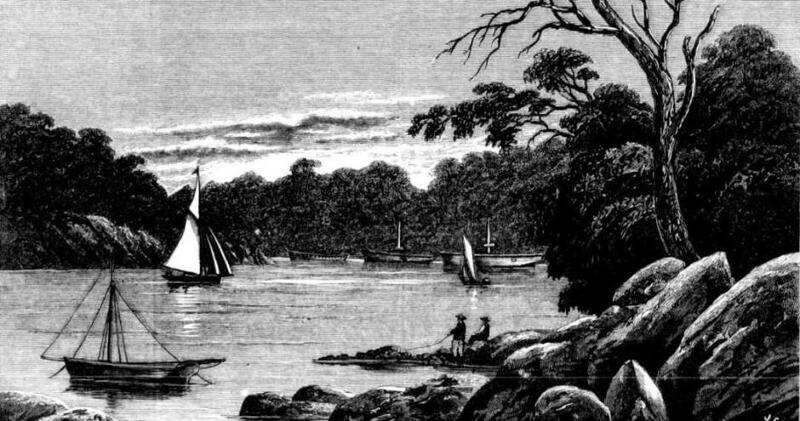 While a systematic search by sea was made for the bodies of the men, and a police search by land in the hope that the men may have become lost in bush country has been carried out the men have been travelling from place to place in the country. They arrived in Broken Hill by train this morning, and it is alleged booked accommodation at the Freemasons Hotel under the names of Gunner and Collins. Inspector Elliot and Detectives Gibbons and Ramsey were soon on the trail of the men, and this afternoon the solicitor and his brother were taken to the Police Station. The men concerned are:- Harold York Thompson (35), a solicitor, of Pennant Hills-road, Parramatta, married, with one child. Alan Lloyd Thompson (32),clerk, single, of Osborne-road, Manly. Both men are well known in Sydney and their identity has been established beyond doubt. They are alleged to have admitted their identity, and Inspector Elliot was acquainted with the solicitor brother when stationed in Parramatta. Alan Lloyd Thompson has been more communicative than his solicitor brother. He is alleged to have informed the police that he brought his brother away from Sydney to get away from all worry. They travelled as far as Orange, believing that place would prove ideal for a rest, but they found the bustle there too great. 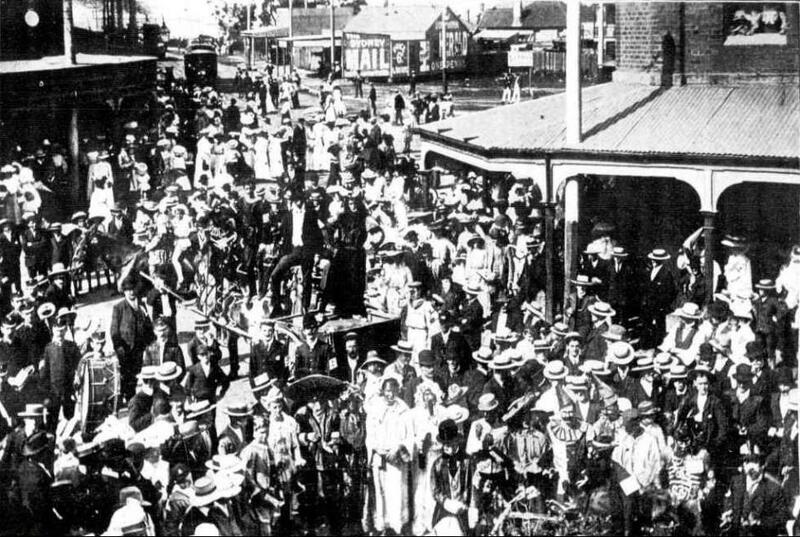 The men travelled to Orange by train, and it was by that method of transport that they came on to Broken Hill today. The solicitor, it is stated, has told the police that he left Sydney to get away, from domestic troubles. Both men are well dressed and have sufficient money with them to pay their way. 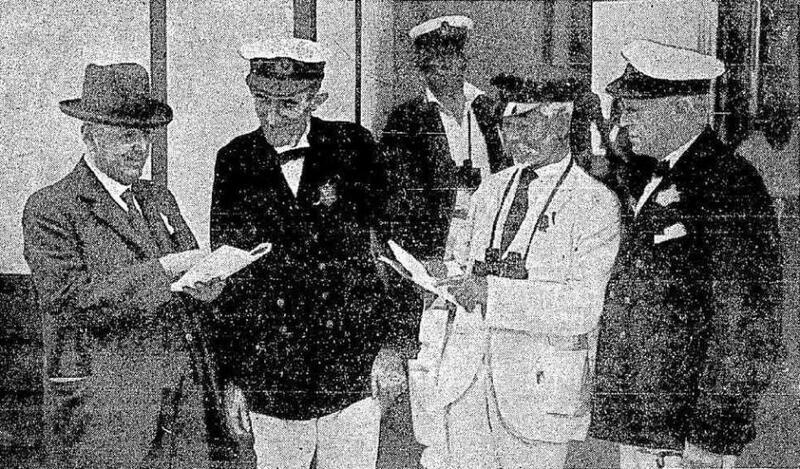 Inspector Elliot has been in touch with police headquarters in Sydney regarding the men, and he is awaiting 'instructions from the Commissioner of Police. The men were last seen by friends on Saturday morning when they left Church Point, Sydney, in a launch on a fishing expedition, intending to return before nightfall. Their, launch, was found on the rocks at Dangar Island, near Brooklyn, on Sunday afternoon, and an examination of the boat revealed strange facts which baffled the police. A hole, about 4in, across, and made from the inside, was found amidships. The magneto of the engine was missing. Throughout Saturday night a launch, equipped with a searchlight, scoured Pittwater and the Hawkesbury, and on Sunday scores of craft were informed that the men were missing, and many, joined the search. Land parties scoured the foreshores. During the afternoon two aeroplanes, each carrying two or three observers, flew along the coast as far north as Terrigal, and up and down either bank of the Hawkesbury. The brothers drove to Pittwater on Saturday morning and arrived at Mr. A. J. Riddle's boatshed at Church Point at about 11.30. They were carrying fishing gear and a small quantity of food. They told the launch proprietor, from whom they hired a 16ft. boat, that they would return before 5.30 p.m., and, after taking on board a bucket of fresh water, set out for the day. Both are experienced fishermen and over a period of years have been familiar with the Hawkesbury. When the men failed, to return at nightfall, Mr. Riddle became anxious and notified the police. Later he decided to search for the men, thinking that the engine might have failed and that the boat might have drifted ashore miles from habitation. Throughout the bitterly cold night he cruised about the countless bays and inlets in the direction the men had taken. He played the searchlight on the banks, but could not find the boat. Fishermen who were spending the night with their lines were closely questioned, but no one had seen the missing launch. At daybreak Mr. Riddle returned and after consultation with the police a more comprehensive search was organised. Owners of pleasure boats and other craft setting out from all points along the Hawkesbury were asked to keep a close lookout for the missing men. Mr. Dudley Thompson, a brother, joined the searchers, and from early morning to night kept in close touch with the search parties. During the afternoon two aero-planes from the Kingsford Smith Air Service Ltd. joined in the search. A Monospar, piloted by Mr. Neville Stokes, who was accompanied by observers, flew up and down one bank of the Hawkesbury, while the Faith in Australia, In charge of Mr. Ben Goodson, who had several passengers as observers, flew up the other bank, carefully studying the Islands in the reaches. They could not see the launch, and then flew up the coast as far as Terrigal, returning to Mascot long after nightfall. In the meantime the police patrol launch at Brooklyn had received a message and ultimately found a small launch high on the rocks at Dangar Island, about 14 miles from where the Thompsons had set out. No one was In the vicinity. Mr. Riddle was notified, and from the police description was certain that the boat was his. Accordingly accompanied by police from Mona Vale and Mr. Dudley Thompson, Mr. Riddle set out for Dangar Island in a powerful launch. The party reached the destination, and at high tide the launch was refloated and towed back to Brooklyn. It was the vessel hired by the Thompson brothers. An examination revealed that there, was a gaping hole amidships above the waterline, and the wood-work had been splintered on the outside, indicating that it had been smashed from the Inside of the launch. Fishing bait was in the boat, strewn all over the flooring. Several strange features were revealed when the engine was examined. The cap of the petrol tank was closely screwed down, but the tank was full of petrol mixed with water. The magneto of the engine was missing. The launch was equipped with two oars when it left the boatshed. One had disappeared. One anchor cannot be found, and a long length of rope was missing. No food was in the launch, and, in addition, the water bucket had disappeared. The search for the missing men was continued in Sydney today. SYDNEY, Sunday. Grave fears are entertained for the safety of four men who left Newport on a fishing expedition on Saturday morning and completely disappeared. Huge seas pounded the coastline during the week-end, and it is feared their small launch may have broken down and foundered near the mouth of the Hawkesbury River. On Saturday morning, four men in a motor car hired a launch from Riddle's boatshed and announced they would return about 4.30 p.m. After leaving most of their clothing in their car, they set off for Lion Island in the same launch which was used by the Thompson brothers when they disappeared. When the men failed to return at nightfall, Riddle notified the police, and search parties were immediately organised. Today searches were made, including the patrolling of the Hawkesbury River by police boats and careful look outs from points along the coast. 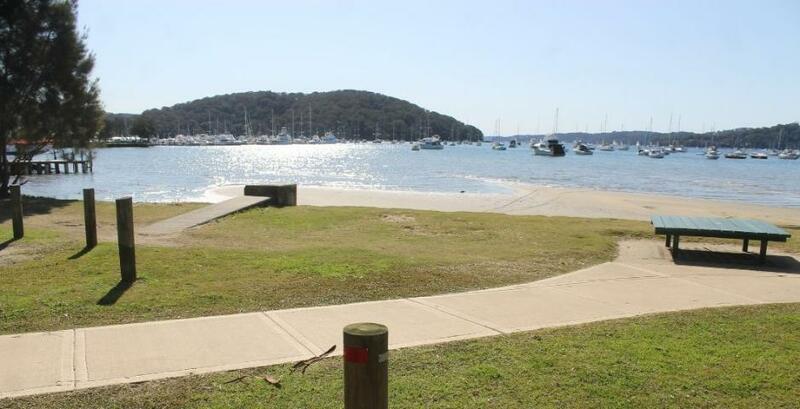 At great risk, police officers cruised near the mouth of the Hawkesbury River and near Lion Island, but without result. ALL WELL. Lack of Food .NO WATER. SYDNEY, Monday. Wet to the skin, and ravenously hungry, the four men who set out on a fishing expedition on Saturday from Church Point, and who disappeared, were found on Lion Island today. IT IS NOTIFIED in the Government Gazette of 18th-August, 1939, that an application has been made by Andrew John Riddle for extension of terms of Special Lease No. 31/36. Land District of Metropolitan. 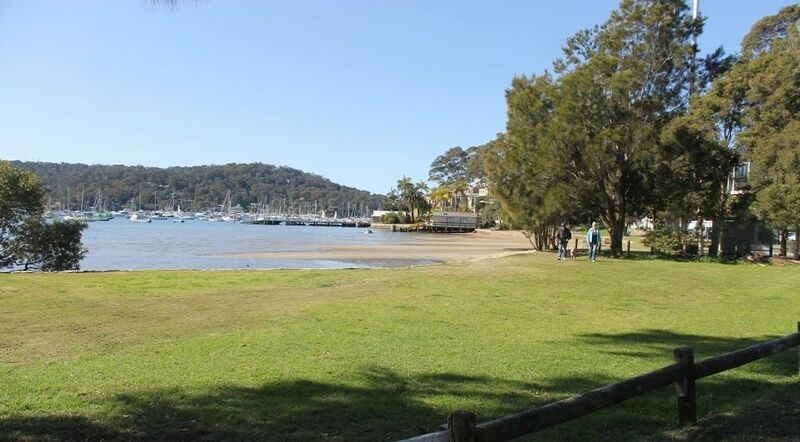 for boatshed, jetty, and skids containing 28 ½ perches below high, water mark at Pittwater fronting portion 27. Objection may be lodged at Land Board Office, Sydney . Sailing Man's Search For Freak Racer . The old racing 24-footer Flying Fish is being anxiously sought by the well-known sailing enthusiast Mr. Mark Foy. If the hull can be found, even in a derelict condition, Mr. Foy plans to build a big racer, 60ft long, on the same lines. For some time he has been advertising a reward of £5 for news of the boat's whereabouts. 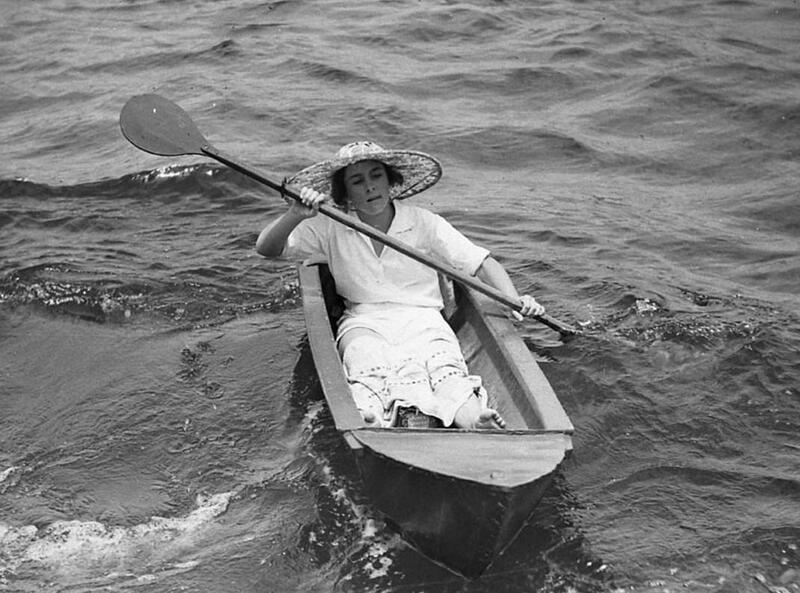 Several reports that she was at George's River, and had become a houseboat, have proved untrue. The whereabouts of Flying Fish is still a mystery. Sailing veteran and boatbuilder Peter Cowie believes the lost boat will never be found. Some years ago the late Jack Gorman told him Flying Fish broke from her moorings at Pittwater and drifted out to sea. Mr. Foy, who gave Gorman the freak racer nearly 50 years ago, said last night that this explanation was quite plausible. He claims that Flying Fish had an amazing turn of speed on a beam wind. She often sailed past Manly ferries, and out-distanced all-comers on the harbour. Shortened by two feet to enter an ocean race Flying Fish won it by about three miles, according to Mr.Foy. The craft was of unorthodox build. She was actually two boats, each of 2ft 3in beam, bolted together by two cross pieces, one at the mast and one further aft. Flying Fish carried a crew of 20. She was rigged with a French lug sail and overall measured 60ft from bowsprit to tip of bumpkin. Mr. Foy is confident that if the Flying Fish could be found and reproduced with a 60ft hull the new boat would be a record-breaker. ''She was perfectly balanced," he declares. The legacy of these little racers is still in place on Pittwater today - The BYRA is on the verge of Riddle's Reserve - land named after May Riddle as requested by the community in 1989 after the lady passed away early in 1988 and the weatherboard cottage, which until then had still operated as a tearoom on this space, was demolished. May had left land to the Council in her Will. - one of several incidences of recognition of almost two centuries of a saltwater family that gave and inspired and grew community. Andrew John Riddle passed away in 1960, his wife in 1976. A NEW CLUB. MIDDLE HARBOUR SAILING CLUB. A meeting of residents of Mosman and Middle Harbour interested in aquatics was held at Mr. Adams's rooms, the Spit, Middle Harbour, on Thursday over-tug for the purpose of taking steps to inaugurate a sailing club for that district There was a good attendance, and Mr. George Snow was voted to the chair. After discussion, Mr. A Harpham moved,- " That a club, to be called the Middle Harbour Sailing Club, be formed " Mr. A. Ellis seconded the motion, and it was carried unanimously. It was next re-solved that the club be open to boats from10ft. to 24ft. in length, and that the sails he restricted to jib and mainsail only The adoption of rules and regulations was discussed, and it was the opinion of the meeting that those of the Sydney Sailing Club would with certain amendments suit the requirements of the club. At least a dozen boat owners signified their intention of racing under the flag of the club, so that its success is practically assured. Mr. J. Alderton was appointed bon secretary pro tem It was decided that the next meeting be held on the 11th proximo at the Trafalgar Hall, Mosman. The formation of the club will doubtless be the means of popularising the sport on Middle Harbour, where there are many boats, which, owing to the lengthy sail round to the starting points of the other clubs' contests, have been practically precluded from competing therein. 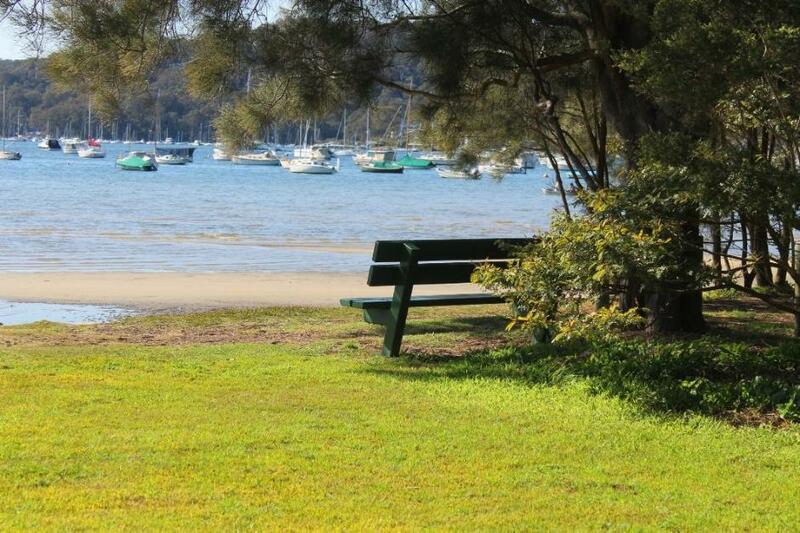 The Middle Harbour Club, therefore, will provide good sport for these in their own locality. It is proposed to start the races from the Spit, where it is probable the club will have its headquarters. Mr. J. E L Fisher has disposed of the 18-footer Doreen, the purchaser being Mi. W J. Joyce. She has been renamod Water Witch, and when not racing m the Sydney Sailing Club-or Sydney Flying Squadron is to be a competitor in the Neutral Bay Club's events. Mr. W. RIDDLE, the well-known ex-oarsman and boat proprietor, says: "YOU CAN'T BEAT THE SAFIX-MILLER." A. J. Riddle, 7/1/42, stating he will hold the Council entirely responsible for any accident to persons or damage to his property which may occur through the Council's negligence in not filling in a "cavity" in front of his boat shed and store at Church Point.- Resolved, - That the Engineer have the depression filled in and charge the coat of the work to the Main Roads grant. (Crs. Williams, Nixon). 24th April 1908: ‘Tender of G Boulton accepted for 200 yards of metal for Newport At 5/6 per yard after lots had been drawn between he and T Douglas whop tendered at same price’ + The Tender of G. Riddle was accepted for metal ballast 600 yards at 4/3 from the Brookvale Post Office to the new metal, and 200 yards at 5/6 to be placed at the Salvation Army Home of Rest. 9. G..Riddle. 5/1/1920, in regard to Council!s requirements Sanitary to instal a steaming plant, &c. on sanitary depot : Resolved Depot. . . (Councinor Thew, Councillor Forbes). That the Board. of Health be asked to waive its requirements respecting the southern area sanitary depot for three months, i.e. until the expiration of the present Contract. . - Southern 10. G. Riddle Sanitary Contractor, submitting half-yearly Sanitary Statement, of services and fees. Received. 16/2/1920: 'Sothern Area - The applicatIon of Mr. G. Riddle, Contractor for, the San. Contract. Southern Scavenging Area for renewal of his contract for - - three years at u increased fee was re-submitted. Resolved, (Councillor Sterland, Councillor Campbell) That from 1st - April, the fee for supplying a sanitary service in the - Southern Scavenging Area, that is to say, for the removal of nightsoil in connection with any land shall be at the - 1-c - Fees - rate of nine pence (9d) per week, such fee to be for the removal of nightsoil in respect f One pan, and each additional pan shall be paid for at a similar rate. 8226; 1 (Councillor Corkery voted against the motion. I fl r, Resolved, - ( Councillor Sterland. "nri1lor ontribution Campbell That G. Riddle be given a re' contract for three years, at the increased fc t a und. Q ZA deduction be made by the Council of administrative expenses &c.
Letters from the Solicitor, as follow, were read –Acquisition of Land at Newport Beach (a) /26/7/22, submitting Contract for purchase from P. G. Taylor of land at Newport. Beach, Resolved, - (Crc. Hewitt, Hitchcock) ition. That the Seal of the Council be affixed to the Contract. - -- - I - . . (i,) 2 7/7/22, submitting Contract for purchase from JustIce G.H. Pike, of land at Newport Beach, . Resolved1 - (Cre, Hewitt, FatchcociS) That the Seal of the Council be affixed to the Contract - ( Crs. Quirk, Hewitt) That letters be sent to the owners of the allotments along Newport Beach, between Alphonese and Prattens, enquring at what price they will sell. 19/02/1923 : 9, W. A. Makim, re his subdivision ("Facing the Dawn”) between Dee Why and Brookvale, submitting fresh agreement with G. Riddle for the discharge of stormwater on to the land, and requesting return of former agreement. Referred to the Engineer. 03/12/1923 11. Resolved, 8212; (Crs. Campbell, McKillop) That in view of the circumstances, E. Riddle be not charged driving fees in respect of his horse released from the Impounding Officers. 17/03/1924: Resolved, - (Crs. Campbell, McKillop) That theSeal of the Council be affixed to the Agreement with George Riddle respecting the contract for the carrying out of the sanitary service " N 176;' in the Southern Section of the scavenging area for three years from 1st prox. 6 \ Resolved, - (Crs. Hewitt, Campbell) That the Mona Vvle Surf' Club be informed that Mr. Lane's transfer of land for site for the Club House has now been completed. W.Maund and Co. 23.4.26. submitting, for affixing of Council's seal, Assignment of G. Riddle's Sanitary Contract Service Contract to Brennan and Ostler : Resolved, - (Crs Campbell, Cokery) .That the seal be affixed. 24/01/1927: Resolved (Crs. Parr, Greenwood)--that the Tender of Alfred Howlett and George Riddle of £ 537.10.0 for the Alexander Street job be accepted subject to the specified deposit being lodged. 25/7/1927: Resolved (Cre.Campbcll, Parr) - That the lowest tender, that of G. Riddle , for. £360 for the formation and ballasting of Tyndora Avenue for 20 chains from Oliver Road to Albert Street be accepted. . . and 4...:-Freshwater Avenue. Resolved (Crc. Campbell, Parr) - that the lowest tender, that of G. Riddle, for £190.15.0,chaine. formation and ballasting of Freshwater Avenue, bet7 Al'tertin r.'SWeat and Charles Street, be accepted. • ' .5.. Mitchell Road, Short Street, Nicholson Street, part of Mitchell Road Wattle. Street and William Street. Resolved (Ore. Cam,tc-ll, Parr) - . That the lowest tender, that of Howlett and Riddle, at £825 be accepted for 50 chains of formation and ballasting on the street..
7/ 75' F. Riddle 26/3/28. Drawing attention to the state of the footpath adjoining his property in Pittwater Road, Brookvale. £1 to be expected in attending to this complaint. 3/4/1929: "B" Riding Sanitary Service Letter from Shire Solicitors submitting Contract Agreement with. H.F. Riddle Resolved (Cra. Campbell, Mcpaul) a That the Seal of the Council be affixed to such Contract. 24/6/1929: 46. Resolved (Crs. Campbell, Austin) - That Arthur Brickwood's request for permission to place advertising signs on the wall of the fruit shop occupied by Kirby and on the roof of F. Riddle’s produce store, Brookvale, be refused. 20/2/1930: TENDERS. Resolved (Crs. Campbell, McPaul) — That the Council go into Committee for the purpose of opening the tenders for the erection of a pavilion in Brookvale Park, in accordance with the Engineer's plan and specification. Resolved (Crs. Greenwood, Campbell) - ¶hat the tender received after the closing time be included. Six tenders were received. Resolved (Crs. Robertson, Campbell) —That A. Verrill's tender of £320 for the erection of a weatherboard pavilion be accepted, provided he can satisfy the President and Shire Clerk that he is in a position to finance the work; failing him being able to do so, R. M. Hood's tender be accepted on the same conditions. On resumption in open Cothicil, representatives of the Vlarrjngah and Manly Agricultural & Horticultural Society viz Messrs. Riddle, Bate, Moon, Thew, Wailer discussed with the Council the matter of the pavilion and other improvements to the Park. Resolved (Crs. Campbell, Parr) — • That in the main pavilion, the two doors be placed on the one side of the building, about 3'6" from either end and that such doors be made to open outwards. Resolved (Cr8. Campbell, MePaul) — That the Engineer immediately make a start on the improvements to the track on the Park. Resolved (Crs. Corkery, Campbell) — That, for consideration at next meeting, the Engineer prepare plans and specification of another pavilion, making use of the timber already available, and in doing so, give consideration to the plan submitted by Mr. Moon. Resolved (Crs. Campbell, Robertson) — that Mr. Reid M.L.A. be requested to use his best endeavours to get the Governor to open the Show. 23/2/1931: Newport SLSC 2/2/31: On need for repairs to the Club's shed on the beach, advising that if the Council supply the necessary materials the Club will do the work. Resolvod, That the Inspector attend the meeting of the bathing Club at the end of week discuss the matter and that he be authorised to finalise. (Crs. Robertson, Mactin) 25.Bayview & Church Point Progress Association 9/2/31.. Inviting attention to two dangerous corners on Bayview Road, one adjoining Fermoy Avenue and the other near Riddle's boat shed, viz - that estimate a for the Improvement at these spots to be included in next year's maintenance programme to be submitted to the Main Roads Board! . 26• :9/2/3Reporting t hnt Yenoy Aveue and R &' 1. Alexandra Crescent are said to be dcnueroue in partdl. Referred to the Engineer for report. . 27.sat. 9/2/31. (1) Drawing attention to the need of Church Point - a report reporting the dangerous state or Church Point Wharf. Resolved, • That the Engineer furnish:a report and estimate for temporarily strengthening the wharf, (Crc. Austin, Robertson) . 28. Same 9/2/31. Requesting that Mr. Nusmith be furnished with a lock and hey for the trolley on Bayview wharf so that the trolley will not be misused,. Resolved, -That the request be granted. Also in same Minutes: Mona Vale Golf Club 9/2/1931: inquiring whether filling and construction work on The Black Swamp Reserve has been carried out to the satisfaction of the Council. Referred to Engineer for Report. 18/12/1933: N. Du Maurier, 11/12/33, drawing attention to the unsightly and insanitary condition of the building known as Riddle's boat shed at Church Point, and requesting Council to take remedial action. 'Resolved, - That the letter be "received". 19. Deewhy West Progress Assoc. 11/1/34, submitting following South Creek requests - (a) that the bush he removed from South Creek 'Road Road at the bend near Riddle's; (b) that 6 chains of clearing be done in Washington Avenue to give access to Mr. Roylson's Inman Road property; (c) that Inman Road be given attention; (d) that n large quantity of sand be removed from the corner of South Creek Road and Roseville Road; (e) that four culverts in South Creek Road at the corner of Thew Parade be attended to. Council's decisions:- (a) that the bush be removed by the relief workers, (Crs. Nicholas, Fox); (b) referred to the Works Committee for report; '(c) referred to the Works Committee for report; (d) that the culverts be at-budded to by the relief workers, (Crs. Nicholas, Fox). Meeting 7/5/1934: 43. Land Board Office, 1/5/34, inquiring whether Council had any objection to the granting of A.J. Riddle's application for a Permissive Occupancy for a boat slip already erected of Occupancy Bayview Church Point. Resolved, That the Council offer no objection. (Crs. Hughes; Sterland). 10/09/1934 43. A. B. Southward, 4/9/34; re removal by Council's workmen' of tree which had blown down on the footpath in front of his property at Bayview, suggesting that Mr. A. Riddle, who performed the voluntary work, be paid; also requesting that an inspection be made of the tree alongside the site of the fallen tree. Resolved, - That the other tree be removed, and that Alf. Riddle be granted 5/- in return for his labour. No. 4: A letter from G. Building Riddle, Contractor, 29/8/35, requesting permission to put on a coat of 3 inches of Gordon Road gravel instead of tar on the Wimbledon new road, and, if he could obtain.a refund from the Manly Gas ...Company, he he allowed to treat the completed road in the same way, was road in conjunction with the report. Resolved, - That the Committee's report ho, adopted, and the Contractor's request be granted, but only so far as it concerns the road inspected by the Works Committee. Resolved, -,That in future new roads be not tarred until the Tarzina o blinding wears down. (Crs, Hewitt, Campbell) Road 10. Re Land Board Office's letter respecting proposal by Miss D. Peterson to erect, community boat Shea and skids off Lake Park: Letters from R.
43. Mrs F.A. Riddle, 3/9/35, inquiring if Council desires to acquire her land, Lot 27, corner of Federal Parade and Consul Road., Brookvale, for better access to the brickworks. Resolved,- That she be informed the land is not required by the Council. 49. G. Riddle, Contractor, 20/9/35 and 26/9/35, requesting Council to agree to the laying of 3 inches of gravel on the extension of Wimbledon Avenue in Wimbledon Estate RUA subdivision. Resolved, - That the Council comply with his request. BROOKVALE -NARRABEEN TRAMWAY. FIRST SOD TURNED.MATERIALS TO BE CONVEYED BY TRAM. Mark Foy’s place(?) or 2nd Riddle home. INTER.STATE CARNIVAL. ZENA DRAWS FIRST BLOOD.AN EXCITING FINISH. READ'S FATAL MISTAKE. The inauguaral event of the inter-state18-footers carnival resulted in a very exciting finish between Zena, sailed by Walter Holmes, and Eileen, which bad her owner and skipper, Billy Read, up. At Shark Island buoy the last, time, it was a suit of sails to a clip hook that Eileen would Ret home in premier position, but Head made a fatal mistake in making for the finish, without jibing while every other skipper in the race had the sail sent across. Off Point Piper Read found his big spinnaker coming aback, and before the kite was lowered and rehoisted, the mainsail being sent across, Zena had drawn very close. A few hundred yards the small boat was level, and then went ahead, upsetting the dead sure win of Read by a few seconds. James and Ann Riddle: William (born 1840) married Julia Ann Pemberton in 1862, James (born 1844) married Margaret in 1868,Maria (born 1848) married John Lawless in 1869, Sarah A (born 1851), Elizabeth (born 1855), Charles (born 1858), John T (born 1861), Emma A (born 1863), George Thomas (born 1866) married Agnes Dutch in 1885. The Powder Hulks, Middle Harbour. world-famed haunts of travellers and excursionists. Any of our readers who entertain any doubt on the matter can, by making up a party and chartering a small steamer, visit the spot and judge for themselves ; and small as they may think it, they will find it a good day's trip to skirt its shores and explore all the numerous bays and inlets which form a part of it. Our sketch is taken from that delightful resort of picnic par-ties, Clontarf Gardens, and is the view presented when looking across the sand-spit. The Riddles of The Spit and Church Point: Sailors, Rowers, Builders - threads collected and collated by A J Guesdon, 2015.